G&S BOOK RELEASE PARTY – You’re invited to celebrate the release of the G&S book “One Long Ride,” edited and printed by Headline Graphics. 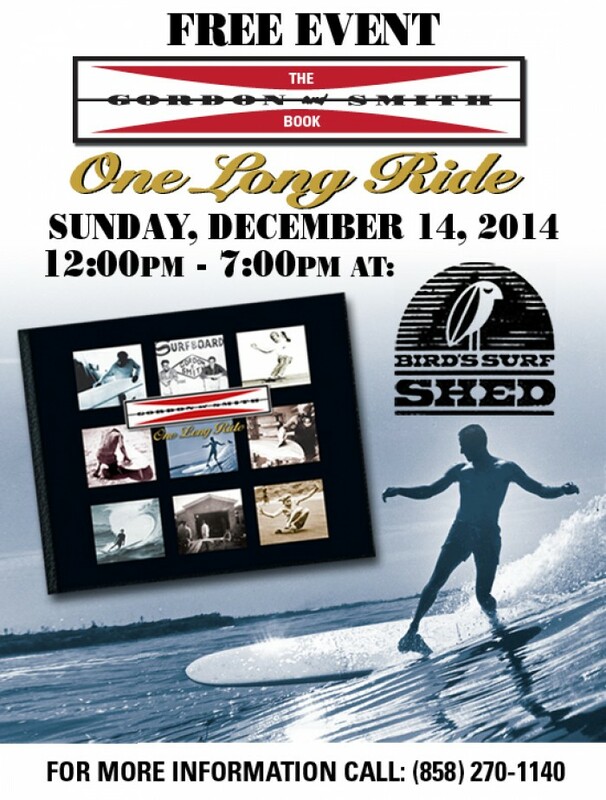 Book signing and open house will be at Bird’s Surf Shed, Sunday, December 14th, 2014 from noon to 7:00 p.m. Address: 1091 W. Morena Blvd., San Diego, CA 92110, 619-276-2473. Larry Gordon, Floyd Smith and other Surf Legends will be there. Vintage G&S boards will be on display as well as rare photos and movies on Bird’s Big Screen with the Bus Brother DJs spinning vintage surf/jazz out of a VW bus. If you can’t be at the event, go to GordonandSmith.com to get your book in time for Christmas!